Real cream cheese that comes together nicely with milk, rennet, culture and sea salt. Enjoy this plain or stir in your favorite herbs! There’s something I love about making homemade cheese, whether it be an easy paneer cheese or a more complicated monnterey jack. Just over a year ago it became one of my life goals to learn how to make my own cheese at home. Not just any cheese – but every cheese we consume or have noticed on grocery store shelves. From paneer to halloumi, monterey jack to now – cream cheese. You’ll be happy to know that it really isn’t all that hard to do if you have the right things to get started. This cream cheese takes a little over one day, but most of that time is spent waiting (not doing any labor intensive work). 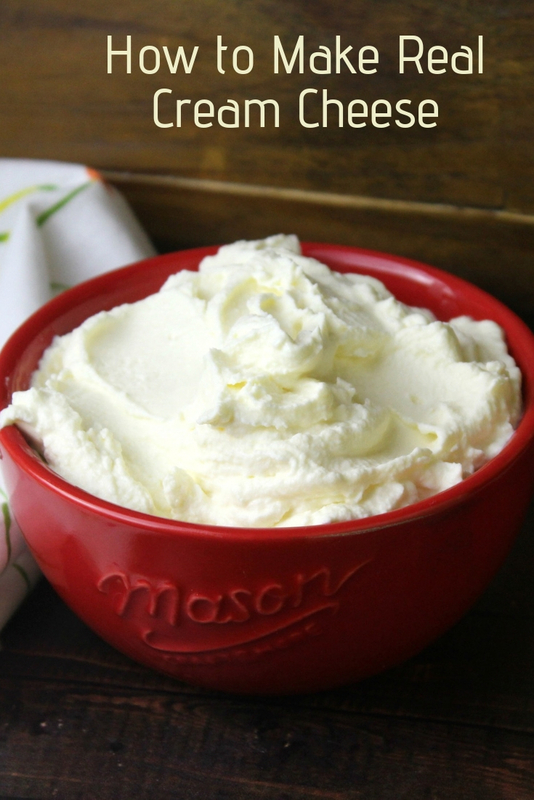 A quick google search will lead you to many different approaches to making homemade cream cheese. Some will simply involve allowing milk to clabber on the counter at room temperature (known as Bonny Clabber). Others may involve making homemade yogurt and straining it over the course of 12 hours for a probiotic rich cream cheese. While both can be used as a sort of cream cheese, they are different than this cream cheese recipe that uses mesophilic culture and rennet. 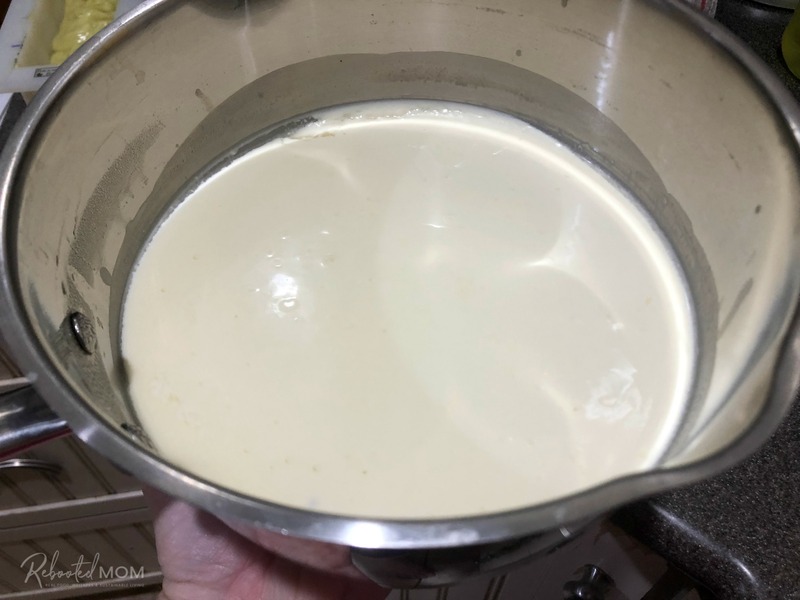 Many of the cheesemaking recipes on my blog or in many cheesemaking books (like this one titled “Mastering Artisan Cheesemaking“) call for raw milk. In our home we use raw milk exclusively and have for over six years. Here in Arizona, raw milk can be sold at farmers markets, directly from the farm to consumer and also delivered to your home. Our farm (Green Pastures) delivers raw milk directly t o our home and I lead a co-op for my area. To find raw milk in your area you can use the locator. How About Cheese Making Supplies? Making cheese at home requires supplies that are unique to cheese making. It is incredibly challenging for most people to find those supplies in their area. Though you might be able to find them in an area that is geared to handmade artisan products (like cheese or yogurt, etc), you are likely better off to find them online. Making cream cheese requires only a few simple ingredients that can be purchased from cheesemaking.com. A 90% cheesecloth is recommended (that tight weave is essential). Though if you don’t have it, don’t panic — I use a clean, tightly woven dish towel that I’ve reserved solely for cream cheese. If you are near an IKEA store, they often times sell the kitchen towels in a 3 pk for just a few dollars. They have worked incredibly well as an alternative to 90# cheesecloth for a fraction of the price. Otherwise, you can find 90# cheesecloth on Amazon or cheesecloth.com. 24 hours after adding the Mesophilic culture and rennet. After straining in tightly woven fabric for 12 hours. This farmhouse cream cheese recipe differs from that of yogurt strained to make cream cheese in a sense that it uses culture and rennet, as well as salt. 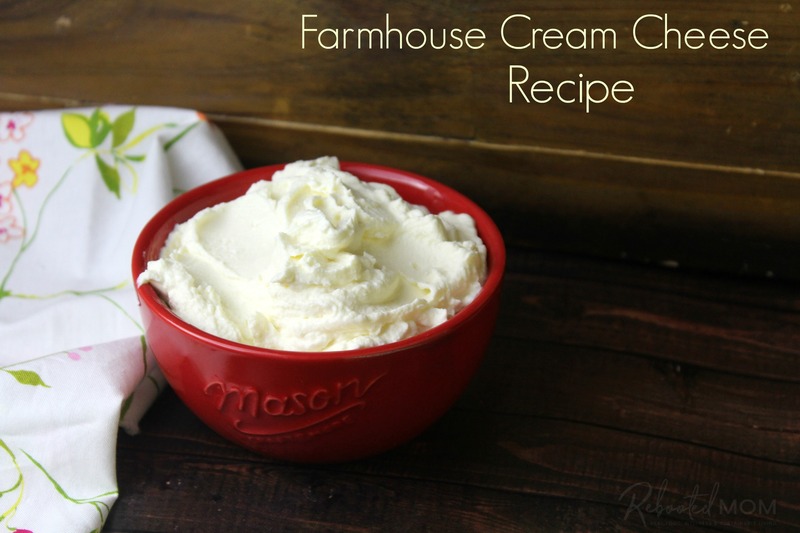 Most farmhouse cream cheese recipes may also call for calcium chloride – which helps with coagulation of the milk. When you use raw milk, you don’t necessarily need calcium chloride because the molecules in raw milk haven’t been affected by pasteurization or homogenization. Pour the milk into a heavy bottom pot and slowly warm to 70 degrees F. If you allow your milk to sit out at room temperature for 45 min first this happens quickly. Sprinkle your 1/2 packet mesophilic starter on the top of the milk. Simply cut the packet open, and use a knife to divide the culture in half. Re-wrap the other half back up in the foil to use for later. Allow to sit for 1 minute to hydrate, then stir in gently for 30 seconds using an up and down motion. Add your diluted rennet and stir gently for 30 seconds using an up and down motion. Cover the pot and allow the mixture to sit, undisturbed, for 24 hours. Line a generous strainer with 90# cheesecloth or a large, clean, tightly-woven dish towel. Place the strainer over a larger pot. Pour the cream cheese over the strainer; sprinkle with sea salt. Tie up the corners of the cheesecloth to form a bag and hang from a spoon over an elevated pot. I find that mine hangs nicely on a large wooden spoon balanced over my Vitamix. Place everything on the top shelf of your refrigerator to strain 12 hours (or, overnight). Transfer the strained cheese to your KitchenAid mixer bowl to whip (whipped cream cheese). Or transfer to a storage jar (mason jar) and refrigerate. It should keep for 1 1/2 -2 weeks. Keep the whey left behind - there are so many ways to use it! 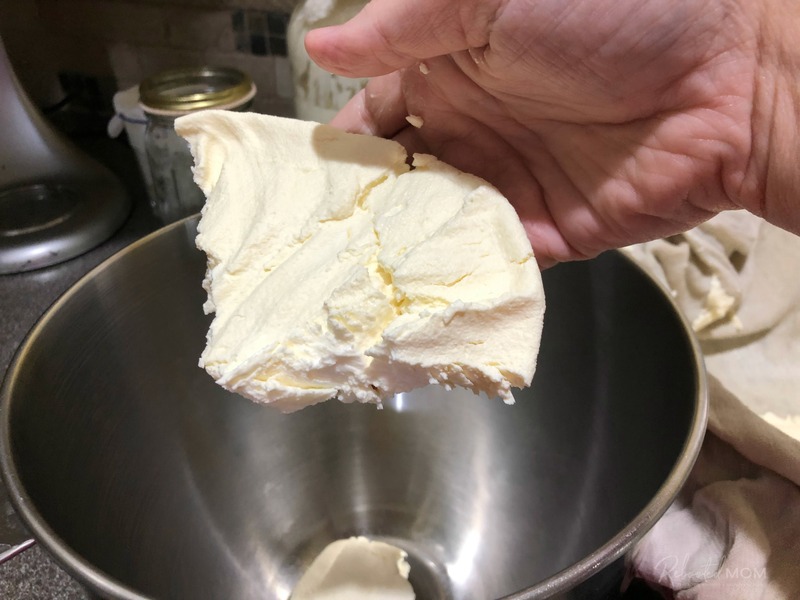 Share the post "How to Make Real Cream Cheese"